Melatonin may be most effective as a sleep aid. Various studies of young and elderly adults indicate that in some people melatonin shortens the time needed to fall asleep and improves sleep quality by decreasing the number of times they awaken during the night. It may be beneficial when chronic pain or stress causes sleep disturbances. Melatonin can also help restore normal sleep patterns in people who do night shift work or in those suffering from jet lag as a result of crossing time zones. Moreover, it works without producing the addictive effects of conventional sleep medications. The sublingual form is absorbed directly into the bloodstream, via the blood vessels under the tongue and in the cheeks, bypassing the liver and allowing for quick entry into the system. Melatonin is a hormone secreted by the pineal gland that aids biorhythm regulation. Biorhythm is disturbed by stress, crossing time zones and changing work shifts. Melatonin production also declines with age. Melatonin is a natural molecule made by the pineal gland, which is located in the back of the brain. We produce this natural substance abundantly during our early years, but levels decline steadily as we age. Interest in Melatonin is based on years of solid research that supports its important role in the body. Studies show that Melatonin combats insomnia by regulating the circadian rhythm (sleep/wake cycle). 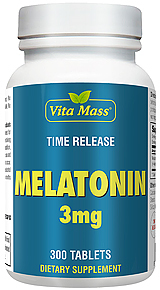 Additionally, Melatonin has been suggested for insomnia, capable of relieving jet lag, used as a treatment for prostate enlargement, a combatant of cancers, weak immune system, high cholesterol, anti-aging properties, cardiovascular health, a positive influence on our hormonal, and nervous systems which extends ones life span. 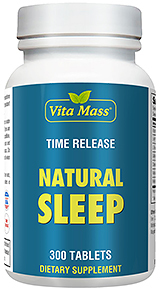 This product is capable of giving relaxed sleep if you face trouble in getting natural sleep. I have trouble falling back asleep if I wake in the middle of the night, and taking one of these before bedtime really makes a difference. It's a very good value too. Doesn't leave you feeling all drugged the next morning, which is important to me. Great sleep! NO waking up in the middle of the night. Great price, fast shipping, all natural!